Like. Favorite. Retweet. Share. For better or for worse, social media is here, it’s relevant, and it’s continuing to develop faster than anyone can keep up. 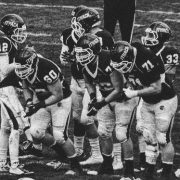 Thanks to sites like Facebook, Instagram, and Twitter, even the college recruiting process, once bound by the time it took to physically cut film and mail it off to a college coach, now moves at the pace of a simple click. 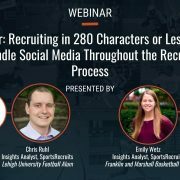 Recruiting and social media is only becoming more and more intertwined, which is why it is important to stay on top of your game on the field, and online. In order to play the game, it’s important to know the rules. While the senior members of the NCAA Rules Committee may not be the biggest power users of social media platforms, they are doing their best to keep up with the tricks and trends of college coaches and student-athletes, who are much more social media savvy. In an effort to stay current with the times, the NCAA has revised its recruiting rulebook to allow communication between a coach and prospect through social media messaging platforms. 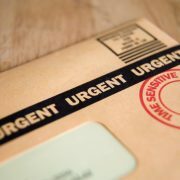 Social media messaging falls under the umbrella of “Electronic Correspondence” and follows the same rules as e-mail communication. The important thing to note is that messaging must be private between the sender and the recipient. In other words, coaches can direct message a prospect on Twitter or Facebook Messenger, but cannot start a group chat on Facebook or post a conversation on your timeline where it is no longer private. Beginning August 1st, 2016, NCAA Proposal 2015-48 went into effect, which changed the game for social media and recruiting. 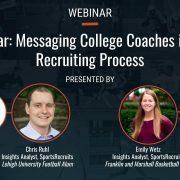 Prior to this proposal, the only social media messaging contact a college coach could have with a prospect was through portals that left the message private between the sender and the recipient. However, as of August 1st, 2016, colleges coaches can now take actions that “indicate approval of content on Social Media Platforms.” In other words, coaches can now like, favorite, retweet, and share posts created by prospective student-athletes. #ClickDontType has been dubbed as the general guideline for college coaches when it comes to this new rule. For example, a college coach can like a prospect’s new Instagram post, but he/she cannot comment a ‘thumbs up’ icon in the comments section. He/she can share a recruit’s Facebook post, but he/she cannot share it with the comment, “Congrats!”. 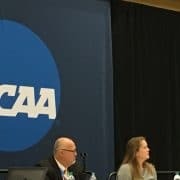 When it comes to social media and related NCAA rules, the important thing to realize is that the bylaws are written to restrict a college coach’s actions, not the prospective student-athlete’s. As a recruit, there is no written bylaw restricting what you can or cannot use social media for, so compliance-wise, there is not much to worry about. HOW DO COLLEGE COACHES USE SOCIAL MEDIA? College coaches use social media for a variety of reasons. For some coaches, it is the primary method of discovering recruits. Many coaches will friend or follow the recruits on their list. They do this as a way of displaying their interest in the recruit. Since August 1st, 2016, some coaches further show their interest through likes, retweets, favorites, and shares. Note – not all college coaches choose to use social media this way. Just because a coach is not liking your posts, does not mean he is not interested. Each program and each individual coach has his/her philosophy on using social media, so be careful with how you interpret a coach’s social media use (or lack thereof). Many coaches will also use social media messaging platforms such as Facebook Messenger or Twitter DM to communicate with recruits. These private messaging systems are more instantaneous and often more convenient than traditional email. The younger coaches typically use social media for these purposes, while other coaches prefer to stick with email correspondence. So does that mean you should start DMing college coaches? No, unless that is how the coach contacts you. Traditional email is still the standard form of communication with college coaches. If a college coach wishes to move the correspondence onto a different platform, let him/her initiate that decision. Perhaps the most popular use of social media among college coaches is to screen the individuals they are recruiting. Exploring a recruit’s social media presence has become a norm in the recruiting process. It is a quick and easy checkpoint for college coaches. One college coach admits that when the name of a prospect gets to his desk, he finds his Twitter account. If the coach likes the prospect’s highlight video, he will proceed to scour his Twitter timeline for red flags, many times scrolling down to the very first tweet. The story of prospects being dropped from a coach’s list because of an inappropriate post(s) is not a fairy tale. It happens, it happens often, and it will continue to happen so long as unwise posts are out there for coaches to see. Monitor your posts AND your shares – Be careful what you retweet. Although you may not have written the post, anything you share reflects your character and what you promote. Check your handles – Would you want “@partyanimal88” representing you on the field? Clean up previous posts – Remember that inappropriate retweet back in 8th grade? Coaches may stumble upon it whether you remember or not. Continuously monitor your accounts – Even if you haven’t signed in to your accounts in weeks, that doesn’t stop your friend from tagging you in a questionable photo or putting an inappropriate post on your wall. Choose your privacy settings – Public or private? Each has its pros and cons. The simple answer: don’t put yourself in a situation where you need to make your accounts private. Social media doesn’t just have to be something you monitor and protect. It can also be a tool used to help your chances of being recruited! Facebook, Twitter, and Instagram are fantastic platforms to publicize yourself as a great student-athlete. Post any recent awards, community service press links, etc. to your profile for coaches to see! College coaches are not just looking for red flags in their social media screening. They are also looking to get a general grasp of your character and your values. CAUTION: Do not rely on social media alone to promote your brand! While these platforms are great to post updates regarding your accolades and personality, you should have a more permanent place for these posts to live. For example, if you tweet out your season statistics, it may show at the top of your timeline initially. However, each subsequent tweet buries those stats further down your timeline. 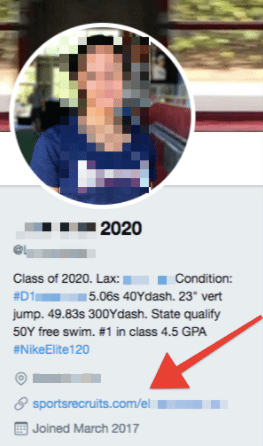 Pro Tip: Pin a link to your SportsRecruits profile on your Twitter profile. 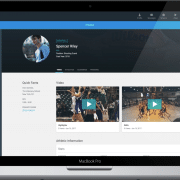 This way, when a coach finds your Twitter account, he/she will be able to access all of the pertinent recruiting information (highlight video, transcript, upcoming events, etc) with just one click to your SportsRecruits page. 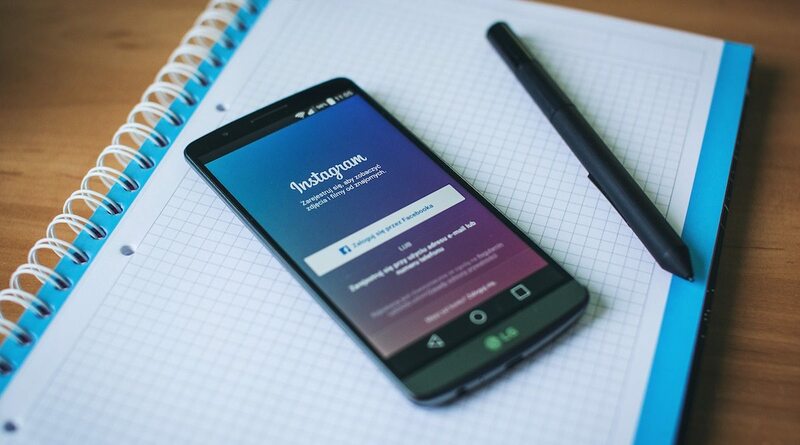 Use social media to your advantage! Follow the social media accounts for every coach and school on your Favorites list. 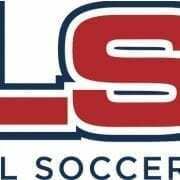 This is an easy way to keep up with a team and learn the culture without directly communicating with the school. Posts on Twitter, Facebook, or Instagram can be great conversation points when you meet coaches in person. This is a great way to show you are really interested in that school! Social media platforms are still young and evolving. 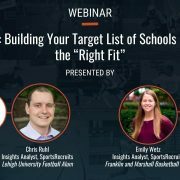 While Facebook, Twitter, Snapchat, and Instagram may have been around for the entire lives of current high school student-athletes, that certainly is not the case for many college coaches out there. Fortunately, there is a new wave of young coaches who grew up with and are comfortable using social media. With younger coaches come newer, more advanced strategies on how to use social media in the recruiting process. 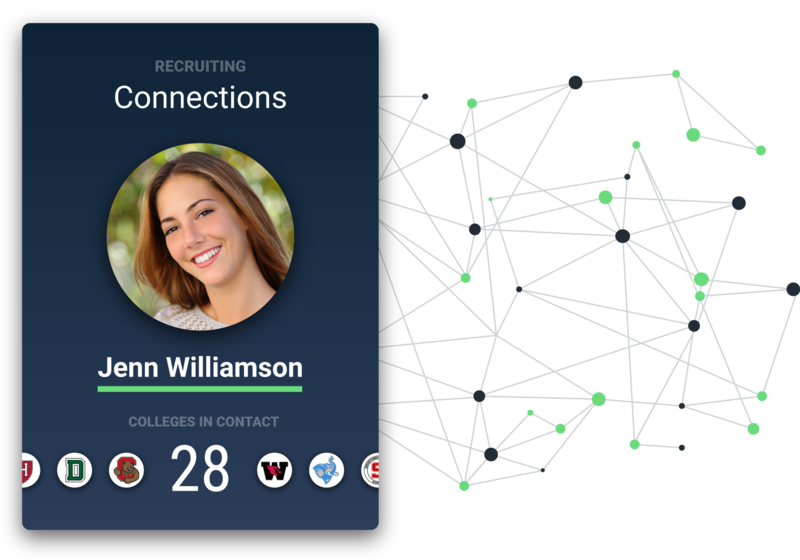 Keep an eye on the advancement of social media in recruiting. Social media is evolving fast; those who can’t keep up risk being left behind.